Rubicon’s cinnamon bread is sold only at Whole Foods. That’s what Richmond’s Rubicon Bakery is all about. You may know the bakery for its carrot cake whoopie pies, triple chocolate mousse cake, lemon tart and other delights. But what you might not know is how it all got started and the benefit it provides. It was founded in 1993 as a non-profit dedicated to providing employment, housing and support services to low-income folks in the Bay Area. It started a bakery as a way to provide job skills to those who were once homeless, drug abusers and convicts. That it did provide. But it was not a sustainable enterprise, as it was losing significant money and had to reduce its workforce drastically. Enter Andrew Stoloff, a Berkeley resident with both an MBA from Wharton and experience in the restaurant industry. He was brought in to help sell the company. But he ended up buying it, himself, in 2009. Since then, the company has grown its revenues 400 percent and increased its employees to nearly 100 full-timers who get living wages, health benefits, vacation time, sick leave and a no-interest employee loan program. The wholesale bakery supplies its all-natural, scratch-made cookies, sweet breads and marshmallows to Whole Foods stores throughout Northern California, Oregon, Washington and the Rocky Mountain states. In the Bay Area, you’ll also find the treats for sale at Zanotto’s, Mollie Stone’s, New Leaf Community Market and more. This week, I had a chance to sample a couple of goodies that included its Cinnamon Bread ($5.99), sold only at Whole Foods. Made with wheat flour, cage-free eggs, canola oil and vanilla extract, the uncut loaf is not as achingly sweet as others. Indeed, it’s just sweet enough. Veins of cinnamon run throughout the bread, allowing you to really taste the bite of the spice. A drizzle of icing — again, not slathered on, but just a little bit here and there to add interest and prettiness — completes it. Toast a slice, then enjoy with a little smear of butter. It doesn’t get better than that. 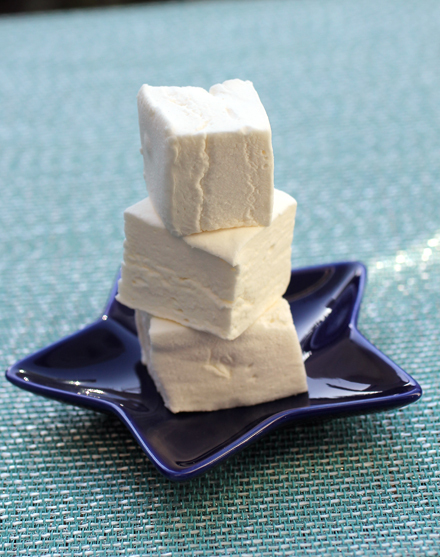 Vanilla marshmallows that are hand-cut. Rubicon’s marshmallows are huge — 1 1/2-inch squares — that would be perfect for making s’mores. They’re charmingly hand-cut, which you can readily tell, as they’re not all exactly the same dimensions. The vanilla ones ($3.99 for an 8-ounce tub) are made with cane sugar, brown rice syrup, gelatin, organic glucose, vanilla bean and a touch of sea salt. They’re bouncy and smell of childhood dreams. See for yourself by picking up a few Rubicon treats to try. In this case, tasting is not only believing, but supporting a most sweet endeavor. Ooooh, I’ve never seen cinnamon bread like that. Come to think of it, I’ve never heard of cinnamon bread, just buns. So this sounds like a less sweet alternative, but still really pretty. The cinnamon bread wow, looks so delicious and would go so well with my morning coffee! 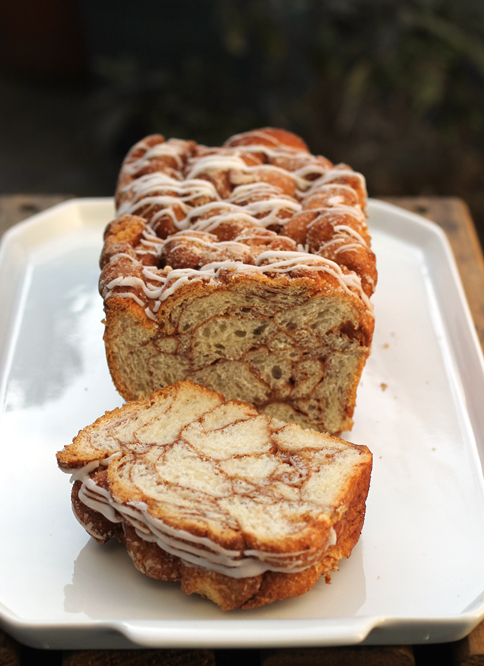 Cinnamon bread can be so good, and it looks as if this is. Those marshmallows look wonderful! Fun post – thanks. Good food and a good heart are the best possible combination! Love companies that try to do good in their area! It’s so important. The bread and marshmallows look fantastic. Nothing better than fresh marshmallows. This bread is amazing…we love it for French toast in particular. But, going to Whole Foods 1x/week is not feasible (it is an hour away). Any ideas for a recipe to reproduce it are welcomed!!! Melissa: You can always buy an extra loaf to freeze. It keeps very well.